Don't need it! Can't make it! Cancel it! 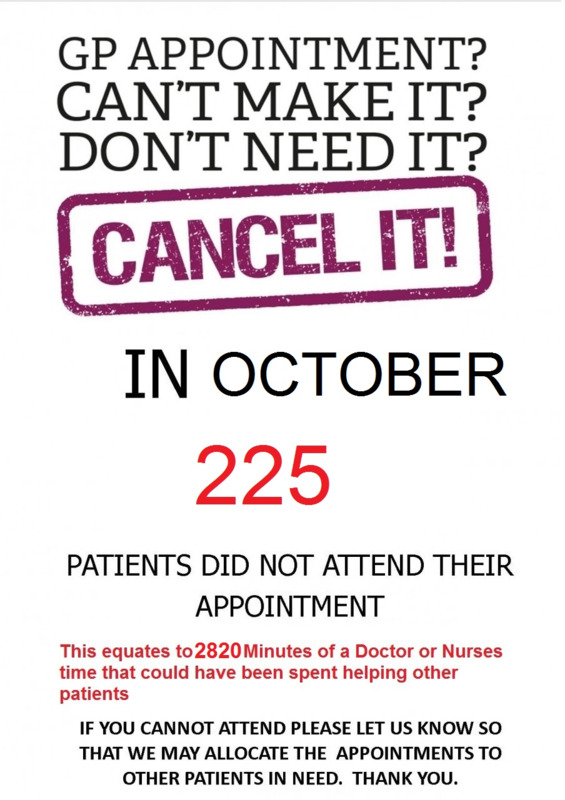 We had 225 missed appts in October! GDPR....Your Data and how we use it.